The sensitivity of oesophageal mucosa to certain digestive secretions has been implicated in almost all the complications of gastro-oesophageal reflux. 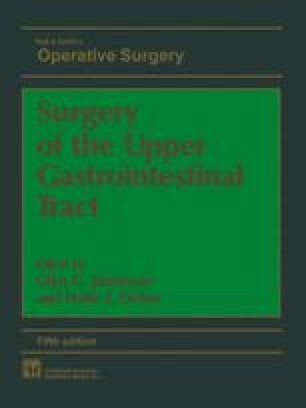 Gastro-oesophageal incompetence permits free reflux of the gastroduodenal contents to the oesophagus. The recognized oesophageal consequences of this reflux are directly related to the effects of the secretions on the oesophagus and to the tissue’s response to chemical injury. These consequences are: desquamation; erosion; ulceration; inflammation; pain; bleeding; motility disturbances; oesophageal shortening; stricture formation and Barrett’s disease (columnar epithelial lining of the lower oesophagus). Complications vary from patient to patient, and the pathological processes are often reversed by eliminating the contact between the corrosive secretions and the oesophagus.